Read-out Instrumentation Signpost: Base station analysis. 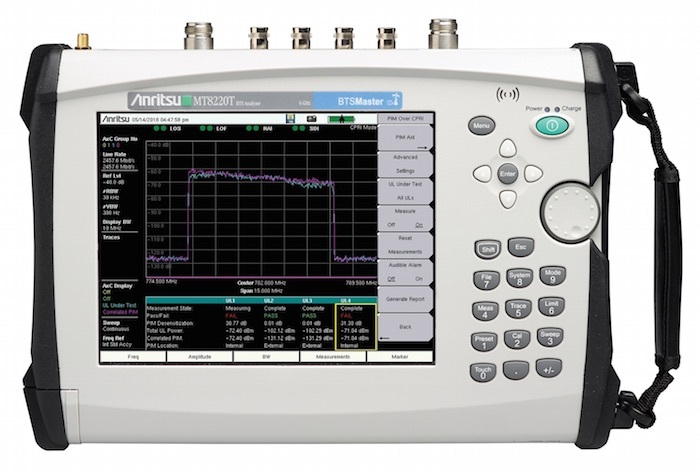 PIM over CPRI software for Anritsu's BTS Master™ MT8220T and MT822xB handheld base station analyzers has been introduced. This allows passive intermodulation (PIM) measurements to be made from the ground for the first time. By eliminating the need for network operator installation and maintenance crews and contractors to climb the tower to test for PIM, the new BTS Master-based solution is a much more cost- and time-efficient tool for ensuring optimal operation of wireless networks.